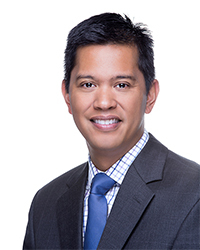 Dr. Norman Belleza, PT, DPT received his B.S. in Life Sciences and Masters in Physical Therapy from Loma Linda University in Loma Linda, CA. He went on to complete his Doctor of Physical Therapy from Temple University in Philadelphia, PA. Dr. Belleza has been a member of the APTA since 1996 and was elected to Treasurer for the National Student Assembly Board of Directors, and served as a student representative in the California State House of Delegates for the CPTA. Prior to joining as faculty for the University of St. Augustine San Marcos campus, Dr. Belleza was appointed as a Co-Chair in the College of Health Professions for Physical Therapy Assistant Campus Programs for South University while also serving a dual role as Program Director for the South University Virginia Beach Physical Therapist Assistant program. In these capacities, he was instrumental in developing the PTA program from initial development through to the admission and graduation of the inaugural class, and attaining accreditation for the program. At the South University institutional level, he provided leadership, guidance, coordinated communication and meetings, and supervised a total of five PTA program campuses in Virginia, North Carolina, Florida, Alabama, and Michigan. As Co-Chair, he helped to foster communication, develop policies and procedures, and assisted in program accreditation activities. Dr. Belleza has served in clinical practice in a variety of settings including in home health with a focus on vestibular rehabilitation, as well as in-patient, assisted living, skilled nursing, and hospice settings.